Please click on Java rail map image for full-size, then click again for zoom. We are proud to offer the most current Indonesian rail timetable in English, as well as the only online train ticket booking service for visitors to Indonesia. This page contains the LATEST timetable, effective 1 April 2015. For other routes (e.g. Jakarta to Semarang), please fill in the enquiry form. Booking here, you can now receive your train tickets by email as a pdf/Acrobat Reader file. Bookings can be made up to three months in advance. A scenic ride through Java, the most popular train ride by far. 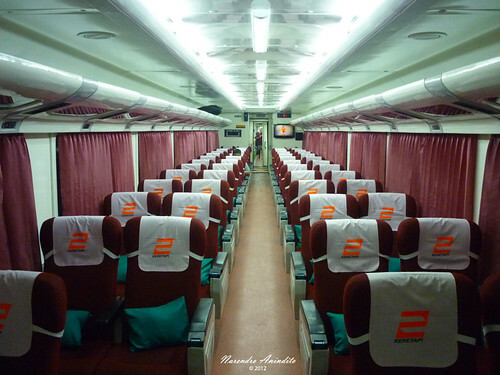 *In Jakarta, business class trains depart from Pasar Senen, while executive class trains depart from Gambir. Interested in travelling from Jakarta to Yogyakarta? Please fill in an enquiry form. 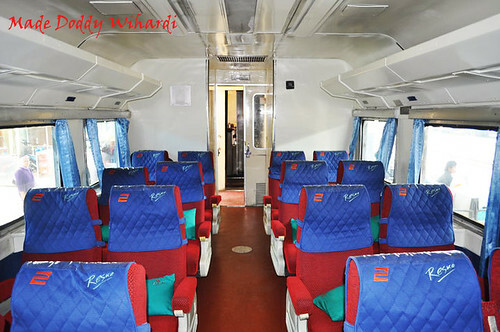 *In Jakarta, business class trains arrive at Pasar Senen, while executive class trains arrive at Gambir. Interested in travelling from Yogyakarta to Jakarta? Please fill in an enquiry form. A route between two large Javanese cities where taking the train is faster than bus or car, and more comfortable and convenient than by plane. Interested in travelling from Yogyakarta to Surabaya? Please fill in an enquiry form. Interested in travelling from Surabaya to Yogyakarta? Please fill in an enquiry form. A train between two tourist launching pads, it also has some useful stops near e.g. Pangandaran (Banjar, Sidareja). Interested in travelling from Yogyakarta to Bandung? Please fill in an enquiry form. A 3-hour ride through the hills of West Java. Faster than driving during holidays, weekends, etc. Please note: some trains do not operate 7 days/week. Interested in travelling from Jakarta to Bandung? Please fill in an enquiry form. Good for trips to Mt Bromo (Probolinggo), Ijen Plateau (Jember or Banyuwangi), coffee plantations (Kalibaru) or the ferry terminal for boats to/from Bali (Banyuwangi). Please note: it is now possible to buy one all-inclusive ticket for the train, boat and bus ride between Surabaya and Denpasar (South Bali). The bus terminal is in Sanglah, near the public hospital in Central Denpasar. More information here. ^Local time in Denpasar is one hour ahead of Surabaya. Interested in travelling from Surabaya to Banyuwangi or Bali? Please fill in an enquiry form. Interested in travelling Banyuwangi or Bali to Surabaya? Please fill in an enquiry form. Interested in travelling from Yogyakarta to Malang? Please fill in an enquiry form. Interested in travelling from Malang to Yogyakarta? Please fill in an enquiry form.